I love the frame. It’s fit perfectly. I had priced custom frames out at a local frame store. This was far more reasonable for a better quality product. I was worried about the fit since I was ordering on line but fit was perfect. This is one of the loveliest frames which I have in my home. It oozes Old World grandeur. It is quite heavy which should say something about the quality but potential buyers need to be aware of its weight in order to have some where solid enough to bear the frame. I absolutely love this frame. The color is exactly as it shown on the website. I replaced the original frame on our 21 year old wedding portrait! My hubby loved the look too! It arrived nicely packaged and quick for a custom order. I will definitely order other frames? I bought the COL4 antique champagne frame. It is heavy and has a museum quality to it. 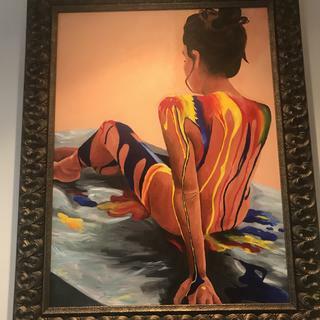 It has made the painting I paired with it stand out from the wall beautifully. I also like the reasonable price for it. So many companies sell inferior quality frames at much higher prices. This is my 2nd frame from pictureframes.com and I was extremely happy with the entire process from start to finish. The process for ordering was very easy and my frame arrived 2 days later. I highly recommend the company. Really like the frame. Well made. Due to size shipping was same as price of frame. Bummer. 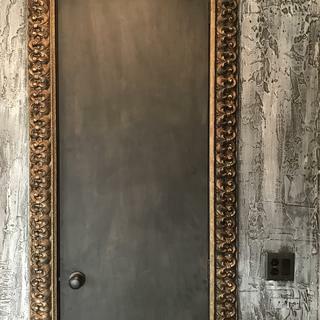 Chalk board door. The frame made it! do you have gilt gold framing on 4" wide wood? BEST ANSWER: We have several frame collections that may be of interest. Our Plein Air Traditions and Plein Air Gallery frames have gold leafing and are up to 3 3/4" wide, these come in standard sizes. If you would like a custom size check out Plein Air Premier they are 3" wide. 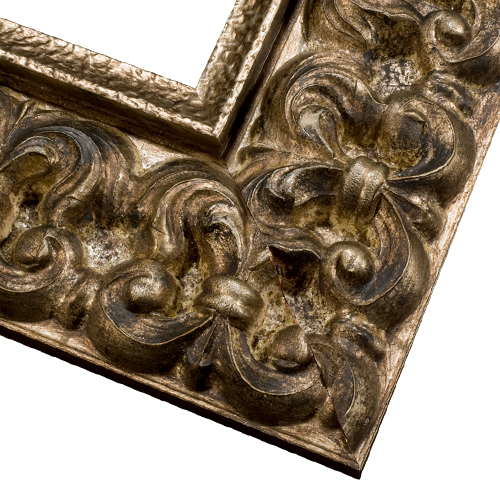 Lastly Plein Air Royale Collection has a gold frame 3 5/8" wide. I have provided the links below for you. Let us know if there is anything else we can help you with! Yes, I have a gold filet and 1-1/2" linen mat.